Moving onto the Royal Rumble, Edge liked the story that was told during the Finn Balor/Brock Lesnar Universal Title match. He notes that WWE continues to come up with creative, new ways to have Lesnar sell during his matches, and Lesnar always does a great job making the matches believable. He thought this match did more for Balor than anything else he’s done during his run. Edge liked the Becky Lynch/Asuka match, but he didn’t quite get the finish at first. He knew something else had to happen once Lynch tapped to Asuka clean, and sure enough, Lynch re-appeared and won the Women’s Rumble later in the night. 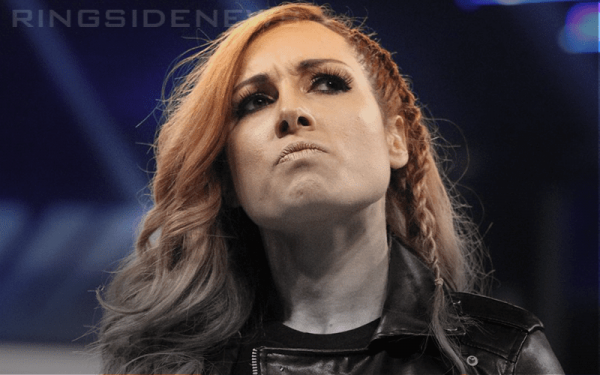 Edge also notes that by booking Lynch to tap to Asuka, WWE told the story that Lynch can tap, and since Rousey is a submission specialist that’ll probably factor into their WrestleMania storytelling. Phoenix informs that she got to walk out into the arena and watch the Sasha Banks/Ronda Rousey match live and she was really impressed by it. Edge notes that Banks was clearly calling the shots in that match and she knows her stuff. As for the crowd turning on Rousey, Edge notes that this was still a pro wrestling crowd, and in the end Banks is a pro wrestler to them and Rousey is somewhat of an outsider. Phoenix admits that it’s very hard calling a Royal Rumble match. She informs that didn’t really know all the competitors prior to the match, as she only knew the ones that were announced. She thought there were a lot of cool moments in the match including a fun cameo from Hornswoggle.